It is with deep regret that I must inform you that MAXjet filed Chapter 11 bankruptcy on 24 December 2007. With today’s fuel prices and the resulting impact on the credit climate for airlines, we are forced to take this drastic measure. Our top priority is to assist our customers, particularly those who already have begun their travel with us, in securing alternative flight accommodations. MAXjet has contracted with Eos Airlines for seats on Eos’ scheduled all-Premium service to accommodate passengers awaiting a return flight between New York and London. Passengers needing return travel between London, Los Angeles and Las Vegas will be contacted regarding their flight re-accommodations. Any customers who choose to make flight accommodations directly should seek a refund from their point of purchase (credit card or travel agency) for the unused leg of their journey. We have also secured hotel rooms in London, New York, Las Vegas and Los Angeles through early January 2008 which we will provide to affected passengers whose travel plans have been disrupted. On behalf of the entire MAXjet family, we extend our apologies to you for the inconvenience. We are extremely saddened to discontinue a service that we so passionately believe in, and we thank our loyal flyers who helped build MAXjet since our start in 2005. 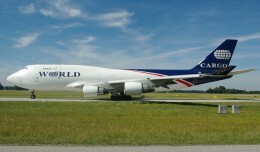 The All-Business Class airline ceased operations after what has been a long struggle to create profit. 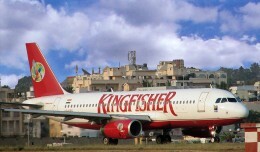 Difficulties such as high fuel costs, mechanical issues with their aircraft and the inability to cover costs while offering fares competitive with other Business Class tickets led to a $79 million net loss in 2006, and a $49.5 million net loss in the first six months of 2007, leading to their shares being suspended on December 7 of this month. 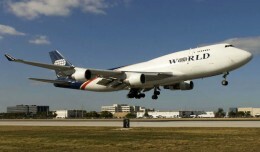 Hubbed in London/Stansted, England, MAXjet flew to Los Angeles, Las Vegas and New York on their aged fleet of five 767-200 aircraft ranging in configuration of 92 to 102 sixty-inch pitch, 160-degree reclining seats. 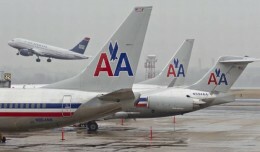 With an average age of almost 19 years, their planes often sat on the ground unused for days. 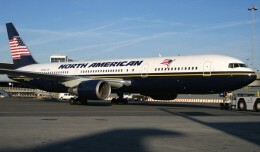 MaxJet is the first of the four transatlantic premium service airlines that operate out of New York City to perish. Among the others, L’Avion (to Paris), Eos (to London/Stansted) and Silverjet, Eos is the only airline reportedly making significant progress, announcing expansion of routes for 2008. There is no word yet on what MaxJet will do with their fleet of aircraft.